If you have the guts, know how to move on a beat and as a couple always trying to do something new then register yourself for the ballroom dance competition. Compete with other couples and get the chance to spend some time with your better half. Ballroom competition is not as easy as one may think. It has a proper set of rules and guidelines that are needed to be followed by every couple who register themselves for it. It is not just an ordinary dance competition, it is the biggest competition where couples get the opportunity to compete with each other and win the trophy. The basic idea is to make sure each and everything that you are wearing is complementing the entire look. For ladies, if you are wearing short skirts than tie your hair up properly while men should slick down there hairs that goes great with a tuxedo. Ladies with straight and silky hairs often find it difficult to handle them after a wash. So if you are doing your own hair, don’t shampoo your hair two days before the competition because greasy hair will be easier to handle for making a hairstyle. Pay attention to the detailing of your hairstyle not just on the front but also on the top and back so that you can get a perfect hairstyle. Compliment your hairstyle with the right hair accessories to enhance your overall look. Use small pins or flower-shaped clips if you made a bun to with the frock. Choose your accessories wisely. A few days before the competition, try making the hairstyle that you want to have for your big day. See whether it suits you or not and practice so that you can create it perfectly on the day of competition. For guys, taking up the wet look is the best idea because it will keep the hairs fixed in one place and goes well with a tuxedo. If you are wearing something else, then choose your hairstyle accordingly. It is a good idea to make a high bun with some waves and twists in the front or create a braid. 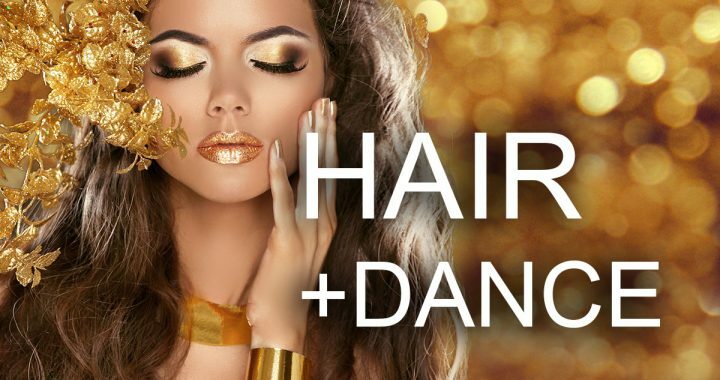 The focus should be on tying up your hairs because loose hairs can cause you to fall and ruin your dance. Take this ballroom dance competition as an opportunity to experiment with your looks as a couple. Wake up the stylist and designer inside you and choose the best look for yourself and your partner so that not only do you dance well, but also look great.